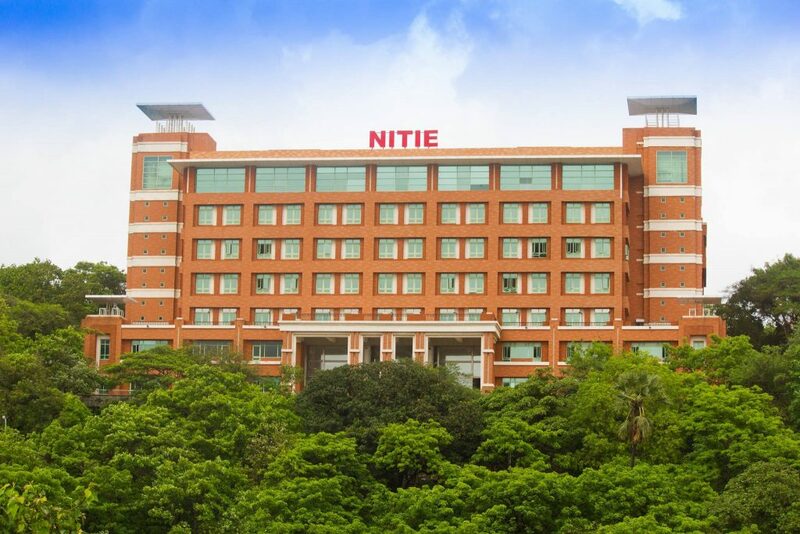 National Institute of Industrial Engineering (NITIE) is famous for delivering the best of education and producing the top class Managers and Entrepreneurs. NITIE offers opportunities to specialize concurrently in the functional areas of management as well as Industrial Engineering for producing professionals with leadership quality in technology and management. Over the years, NITIE has created a world-class educational platform dynamically sustained through internationally recognized research based on excellent infrastructural facilities. NITIE has two huge lakes, a Pond and a Forest for a setting and is located in the city of Dreams,Mumbai. The majestic Vihar lake with the Sanjay Gandhi National Park in the background stands as an epitome of tranquillity whereas the Powai lake with the Hiranandani Skyscrapers in its backdrop reveals the corporate world. And not to forget the most favourite hang-out place of every NITIEzen, our very own pond aka Sarovar. We can promise you that several successful entrepreneurs or managers have found their inspiring big idea during one of their late night strolls around the pond. This is a bridge to hostel & academic building. It seems like a daily physical assignment that needs to be done before entering the classroom. Everyday life in NITIE involves a mintrek up the academic hill. The 96 steps embellished with creepers all around ensure that the procrastinator in us still gets his daily dose of exercise. Taylor Hall, a 16 storey building embracing the skyscraper culture of Mumbai, this behemoth of a building is the tallest B School hostel in India. NITIE Library holds one of the richest collections of Technical Books, Journals, Online Journals and Electronic databases in the field of Industrial Engineering, Industrial Management, Organizational Behavior, Financial Management, Training and Information Technology. It has an excellent collection of reference books, like Subject: Encyclopedias, Dictionaries, Handbooks and Workbooks. Their Culture of Meritocracy: Performance is at the centre of their work culture. Transparency and Responsiveness: Their culture of honesty and respect provides a platform for stakeholders to add value. Cultural Diversity: Being a global company, they recognize the importance of being a sensitive employer, which understands the challenges and advantages of cultural diversity.